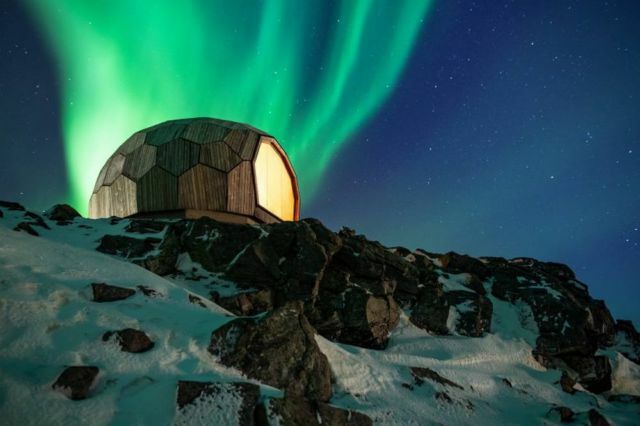 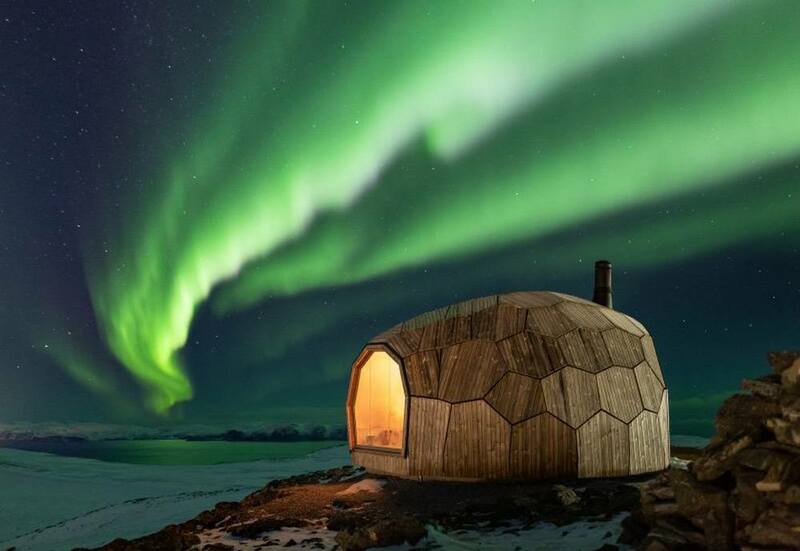 A small mountain cabin providing warmth and shelter, for hikers journeying into the Arctic Circle, in Norway. 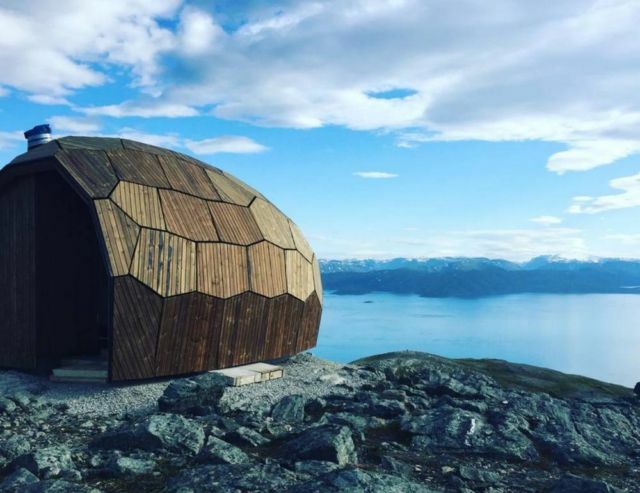 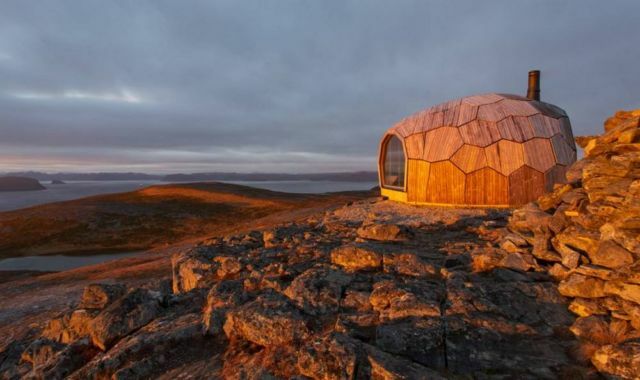 Aligned with the existing landscape, the warming hut, designed to promote hiking in the town of Hammerfest. 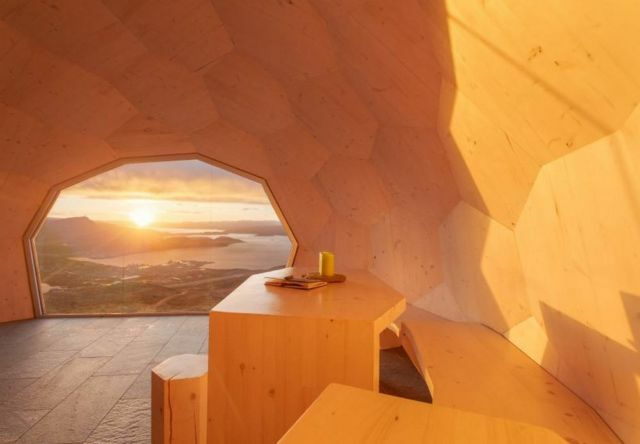 The small structure includes simple seating, a wood burning stove and offers views of the cold terrain below. 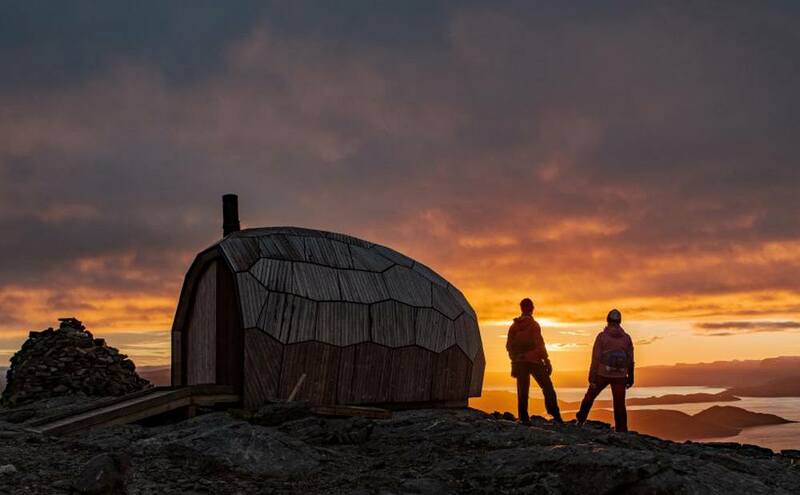 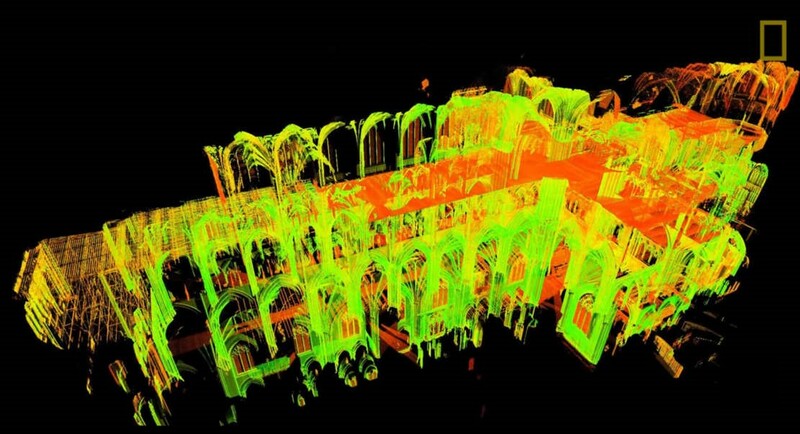 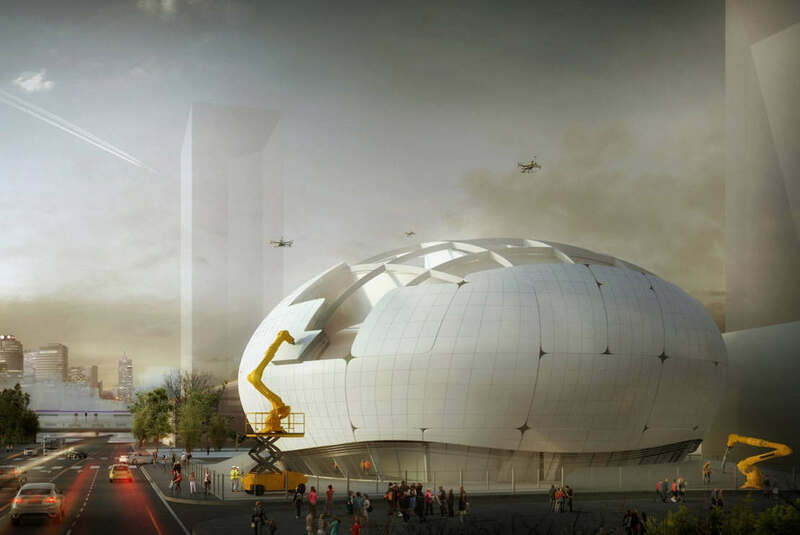 “In connection with the construction of Baksalen school, we came in contact with Spinn architect, who eventually became involved and have drawn the cabins.